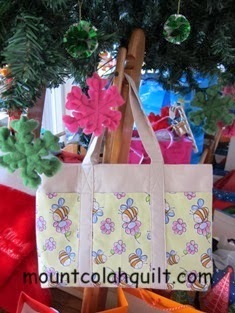 Lately, I have been busy making bags as Christmas presents. 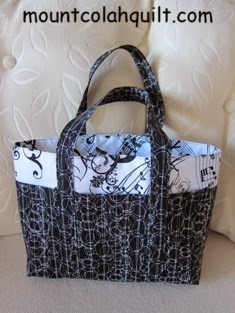 There are lot of free bag patterns on the internet. 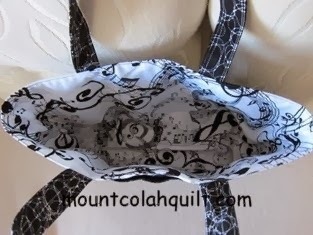 I have downloaded this particular pattern from the wonderful website that I visit regularly. The clear instructions made the bag easy to 'execute'.! I also modified the pattern slightly and added a few extra stitching lines. 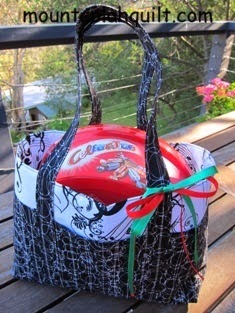 I enjoyed the process, the bags were well-received, and I, of course, was very pleased as the effort was all worth it.